NTSE 2014 Diagnostic Test - What's Your Grade? The Big Question - Am I Ready? Everybody wonders before even starting to think about giving an exam - will I be able to crack it? Answer is almost always - YES, I CAN! And with www.simplylearnt.com the answer is - DEFINITELY YOU CAN! But you need to know how much you need to prepare for cracking the exam! Are you almost ready? Or, need a bit of hard work to get there? 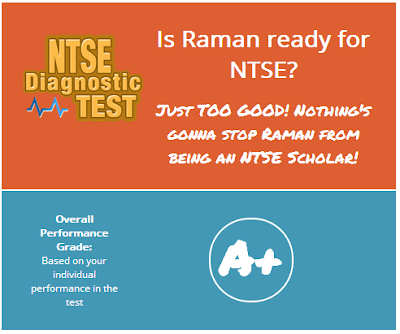 NTSE 2014 is knocking on the door so let us begin preparing in the right way, starting with a Diagnostic Test. 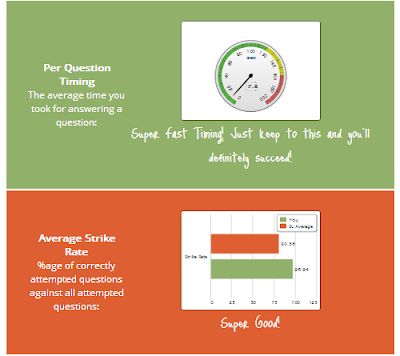 This is a combined test of MAT and SAT (30 questions) of mixed difficulty. Questions are carefully chosen by our experts to assess your currently capability level. You will receive a cool report card to tell you about the next steps. We have designed a unique report card to give you great suggestions on your performance and ideas for improvement. Your study plan thereafter will be designed to keep this level in mind and help you finish your course in the first week of November with 100% improvement. So don't waste any more time and take the test today!